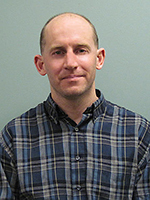 Congratulations to Dr. Ben Bond-Lamberty, terrestrial ecosystem research scientist at Pacific Northwest National Laboratory, who was selected to serve as a member of the Plant and Soil editorial board. On the board, he will review manuscripts submitted to the journal. Plant and Soil is an international journal publishing research touching plant-soil relationships, with both fundamental and applied science. From molecular to mathematical, the journal is published since 1948 under the auspices of the Royal Netherlands Society of Agricultural Science. Bond-Lamberty's research covers carbon and nutrient cycling in terrestrial ecosystems. As a forest ecologist, his work covers disturbance effects from forces such as fire and how the forest and climate respond to this stress. He also works to understand plant respiration, and how carbon loss affects the ecosystem and planet, and how it will respond under the pressure of climate change. And, he works to develop and improve models that can tackle issues related to a single plant or the entire globe, and all the scales in between. Bond-Lamberty, working at PNNL's Joint Global Change Research Institute (JGCRI) in College Park, Maryland, is a member of the American Geophysical Union, the Ecological Society of America, the American Association for the Advancement of Science, on the editorial board of Global Change Biology, and a Section Editor for the journal Public Library of Science (PLOS) ONE, where he blogs for the journal's popular EveryONE blog. The JGCRI is a partnership between PNNL and the University of Maryland.